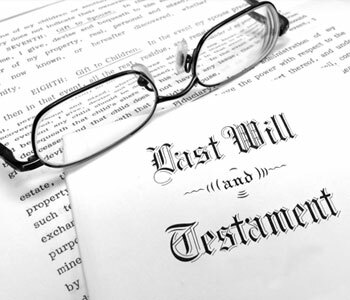 A will provides directions on how your assets are to be distributed upon your death. Wills can also contain instructions regarding the care of minor children, gifts to charity, and your funeral and burial preferences. In a will, you name a Personal Representative (some states call this an Executor) to carry out your instructions. If you have minor or disabled children, or a disabled spouse, your will can also name a Guardian for them. In order for a will to be legally valid, you must sign it in the presence of two witnesses while you are mentally competent, and not acting under duress. Wills are usually less expensive to prepare, but more expensive to administer after you die. This makes them attractive for younger individuals and couples who need a plan but have a low risk of actually needing to use it any time in the near future. We also do a lot of wills for people who are simply more familiar and comfortable with them. On the down side, a will only becomes effective upon your death, and after it is admitted to probate. Probate can be costly and time consuming. Probate also increases the likelihood of expensive litigation over your assets. This is because probate opens a legal proceeding that others may feel more inclined to join if they feel they are not getting their due. This is because people are more likely to join a case than to start one from scratch. The most sound alternative to a will-based plan is a revocable trust. The best way to understand a trust is to think of it as a box that holds your assets. This box also contains your instructions about what to do with your assets if you die or become disabled. Because the box owns your assets, there is nothing that needs to be probated after you are gone. A revocable trust is like an open box that you can fully access, change, or terminate. In revocable trusts, you will usually be the Trustmaker (the creator of the trust), the Trustee (the manager of the trust) and the Beneficiary (the one who benefits from the trust). So you can see that you maintain complete control of the trust and receive all the benefits of the trust. What happens when you are no longer able to serve as your own trustee? For that, you will name a Successor Trustee to take care of your affairs. This person must follow the instructions that you have left in your Trust on behalf of your beneficiaries. Because a Successor Trustee is designated to step in at the right time without court involvement, trusts are an efficient way of administering your affairs. This is one of the biggest reasons most people use trusts instead of wills. However, a good trust can do so much more than just avoid probate. If you are disabled, trusts are more effective at managing assets. A trust will provide a means of organizing your affairs while you are alive, so that your successor trustee and beneficiaries do not inherit a mess when you are gone. It will also allow you to control who gets your property, when, and under what conditions. Trusts also allow you to protect assets, protect spouses and children from the uncertainties of remarriage, and take care of funds for disabled beneficiaries (without disqualifying them from any public benefits they may be entitled to). If you have decided that a trust is right for you, it is also important to remember that all trusts are not created equal. Many of the benefits listed above (and others not listed) will be missing in a poor quality trust. A good quality trust will have well drafted provisions and a more sound design. It will contain literally hundreds of supporting provisions to address the myriad of situations that sometimes come up. It is also important to look for a senior friendly, disability friendly, and long-term care friendly plan and process. The ElderCare Law Firm Inc. has the experience to advise you regarding wills and trusts. Call our office today to set up an appointment. At The ElderCare Law Firm Inc., we focus on helping families enhance their lives today and secure their futures for tomorrow. We excel at guiding seniors, their children, and their families through the often confusing maze of financial and legal decisions they face. We have carefully designed a special process to give you the best planning experience while making sure we cover all the issues that affect you and your family. Your involvement in that process will primarily consist of four meetings: Vision, Design, Delivery, and Funding Follow-Up. Our mission at The ElderCare Law Firm Inc. is to take care of our clients as they go through the aging process. When you receive planning through our firm, we see you as part of our client family, and as such, we are committed to helping you save time, stress, and money by helping you do the right thing the first time.